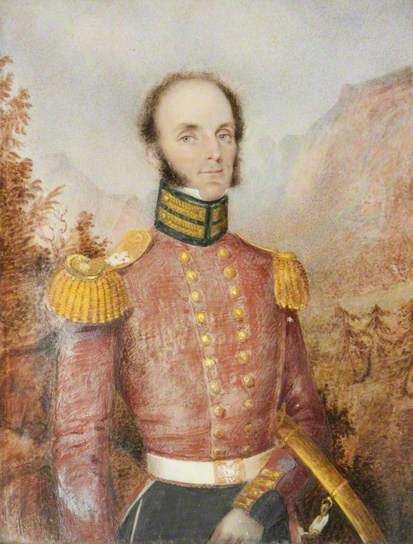 Colonel Henry William Breton, 4th Regiment of Foot, the King’s Own, circa 1830, painted by P A Barnard. Breton was commissioned as an Ensign in 1815 and served with the King’s Own in the West Indies (1821-6), Portugal (1826-7), and sailed to Australia on the ‘William Glen Anderson’ on 14th May 1931 serving in Van Diemen’s Land, Parramatta and Goulburn Plains. Breton was promoted Colonel and commanded the regiment from 1834 at Parramatta and Sydney and then in India at Madras, Bangalore, Bellary, Secunderabad and Kamptee. He later rose to the rank of General and became Colonel of the 56th Regiment in 1854. He died at the age of 91 in 1889. 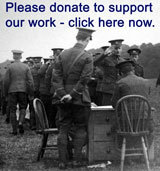 KO1391/01 Purchased with grant aid from the Army Museums Ogilby Trust. Almost amalgamated with convicts as soldiers are in New South Wales, irksome and harassing as are their duties, it requires the most unremitting care on the part of the commanding officer to keep even common order in his regiment. With proper defaulters’-rooms, and means of hard labour, he may do much, but new barracks must be first built. Hard labour, as inflicted in New South Wales, is utterly ruinous to the discipline of a regiment, the soldier being compelled, either in the hulks or at Norfolk Island, to herd with the greatest villains possible. At the expiration of a term at Norfolk Island the man should be discharged the service. Approves of solitary confinement. From one to six months. When a man is sent away for a long time from his own corps, he thinks himself forgotten, and becomes callous or heart-broken, and either way becomes bad. The man in solitary confinement should be allowed his great-coat and no bed, and his food should be bread and milk. Hard labour should, as far as practicable, be in view of the regiment, such as cleaning drains, forming a regimental garden, and cleaning and washing the barracks. Cannot, however, call to mind, during twenty years’ service in the same regiment, more than two or three cases of permanent reform, and these had no reference to any particular system of management.